For patients who suffer from low back pain, a facet block as a diagnostic procedure may by recommended. 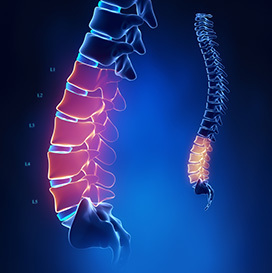 Patients who have pain that is caused by damaged discs or deteriorated facet joints are often good candidates for a lumbar facet block procedure. A facet block is a minimally invasive, outpatient procedure that is generally intended to be diagnostic and temporary. If a patient receives adequate pain relief from the facet block, a more permanent procedure called radiofrequency ablation may be the recommended next step for treatment of pain.